There has never been a better time to be a geek road warrior. Technologies exist today that seemed like the stuff of science fiction just a decade ago. 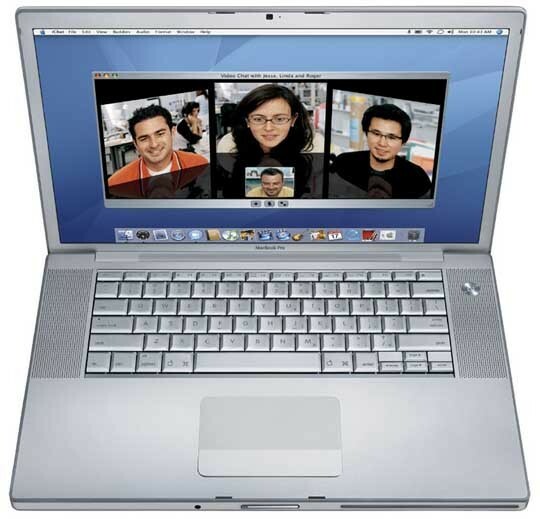 Laptops in particular have seen a glorious augmentation of performance with a concurrent reduction of size. Good times. Had this system been available a couple of months ago, I might have gotten it over my MacBook Pro. As the the header denotes, the system includes an integrated a/b/g/n antenna which will be quite useful very soon. In my tests of Draft-N, distance and speed were greatly increased, making it a standard with a good deal of potential as soon as it is, in fact, standardized. The T60 also has a ton of upgrade options. The screen comes stock at a 15.4-inch WSXGA TFT (1440×900), but it can be upped to WSXGA+ (1680×1050) for just $75. It also comes standard with a 1.83GHz Intel Core 2 Duo, but it can be raised all the way to 2.33GHz with a 4MB cache (only a $575 upgrade *cough*). 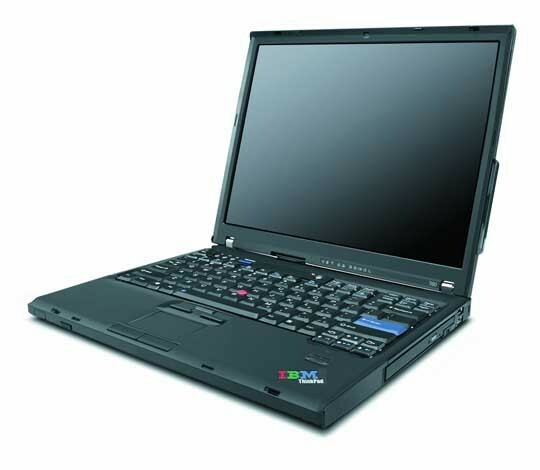 And the system can come equipped with an ATI Mobility Radeon X1400 with 128MB of dedicated memory for discrete graphics (a greatly recommended upgrade). If you’re so inclined, it can also have built-in WWAN for about $50 extra. I don’t recommend it here though as the only options are through Cingular and Verizon — Sprint is definitely the way to go. Fortunately, it has an ExpressCard slot, so getting an after market card is not a problem at all. The T60 Widescreen with ABGN Wireless starts at $1,073 and can be made about as expensive as you could possibly want it to be. This appears to be the most popular travel system. Through my travels, I’ve seen more people using the MacBook Black than any other system. I don’t have sales numbers or anything, but judging from what I’ve witnessed, I assume the system must be outselling every laptop out there. 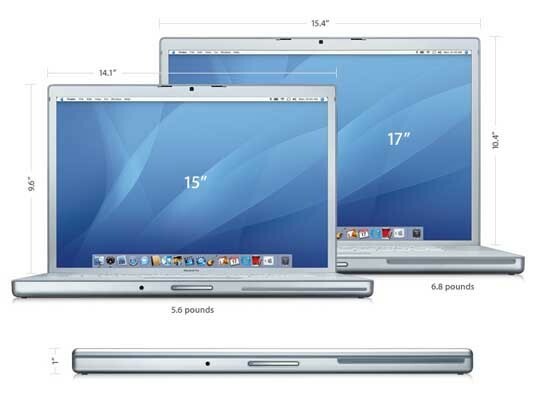 Small and versatile, the system includes a 2.0GHz Intel Core 2 Duo processor. It can be made significantly better through about $300 of upgrades. Doubling the ram to 2GB and upping the hard drive to 160GB are absolute necessities. My main problem with this system is its lack of an ExpressCard slot. This prevents you from using ExpressCard WWAN. You can use a USB dongle, but I resist those for some reason. If future versions will continue not to have an expansion slot, I suggest Apple build WWAN directly into the system. That addition would make this the best traveling system by far. 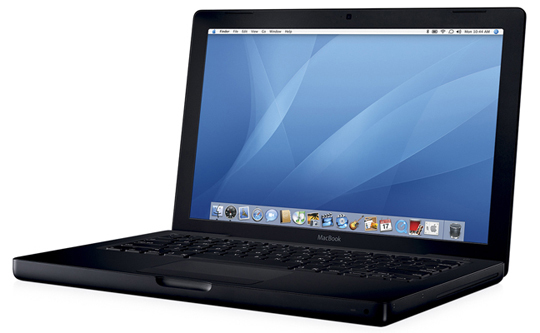 The MacBook Black is available now for $1,499 stock and $1,774 as spec’ed. After much deliberation, I finally settled upon a 15-inch MacBook Pro and I’m pleased to say that I’m really happy with this system. It still bugs me that the system can only be equipped with a 5400rpm hard drive, but I’m told this is because of heat issues. The 17-inch model can be made with a 100GB 7200rpm option, so if you don’t mind something that gigantic, it might be right for you. Otherwise, the MacBook Pro comes stock with everything I’d recommend. 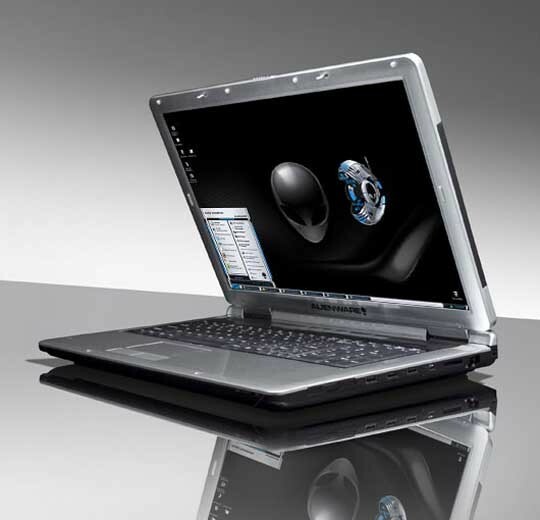 Its appealing size coupled with a fast 2.33GHz Intel Core 2 Duo and an ATI Mobility Radeon X1600 with 256MB SDRAM sets it apart from most competitors. I just took mine on its first big cross country adventure and it performed like a champ. Being able to use WWAN completely changed traveling for me and I’m forced to wonder how we ever managed without it. The MacBook Pro ain’t cheap though. The 2.33GHz model costs $2,499 and will jump to over $2,700 after taxes. Is the performance worth that? I’m hesitant to say. It’s definitely the best Mac I’ve owned, but the price of that ThinkPad is definitely more compelling. This is the most beastly laptop I’ve ever laid eyes on. It’s also the biggest. So big, in fact, that the name “laptop” might be a bit inappropriate. Maybe “notebook” is better, but that still seems off. I think we need a new name for systems like these. Anyway, if you’re in need of desktop-like performance on the road, then this is your best option. It can be equipped with virtually everything. Need Blu-ray? No problem. What about an ultra fast ATI Mobility Radeon X1900? Yea, you can get that too. It can even be spec’ed with an Intel Core 2 Duo overclocked to 2.66GHz — making it the fastest notebook-thing currently available. Now I don’t expect people to get this system for running around with, but it fulfills a very important place for travelers. What it accomplishes flawlessly is meshing desktop-like performance out of one package. It is essentially a mobile workstation. The 17-inch display comes stock at WXGA+, but can be upped to WUXGA+ (1920 x 1200). It’s a sight to be held. It also includes a full keyboard with number pad and all. Its speed an performance never ceased to amaze me. It’s actually faster than my current desktop, which made me feel a bit insecure. I could see getting something like this as my next system and just plugging a monitor and peripherals into it. The m5790 Special Edition starts at $1,299, but lets be honest, no one is going to get the stock version — the upgrades are just too good. This article is part of our series on Travel for Geeks.